“No! Please, don’t take me!” Bowser started to cry. 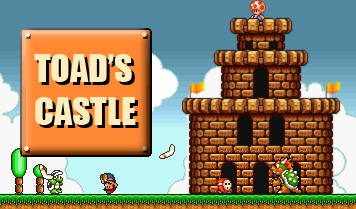 The castle was a mess, and Yoshi was the cause of that. The air was filled with one question: Is that tasty? Yoshi twisted his green head in a quizzical manner. “Toad, is that tasty?” Yoshi threw out his tongue and swallowed the surprised mushroom in one gulp. Peach screamed as the plumber was devoured. The troopas brought in Betty, getting ready for another treatment. Peach saw a trap door underneath his feet (how convenient), so she pulled it.